I just saw a vid on YouTube which appears to be Joe Pass & NHOP playing the Donna Lee in unison at about 150BPM. I mean, he's playing the upright bass like a fingerstyle guitar. If you like this, listen to the Pass/NHOP version of Oleo - which you should find near this one on Youtube. joe pass' playing sounds like turkey gobbling. Wait, he's not using proper rest-stroke technique...! 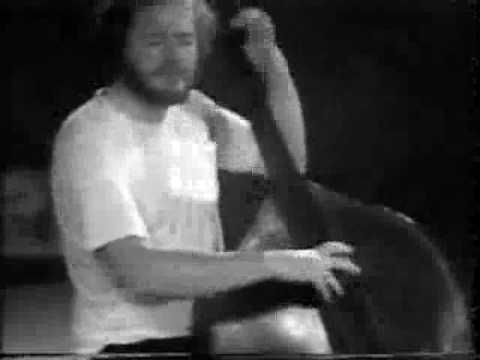 Actually, Joe Pass probably does play with the "correct" gypsy-jazz technique. He has said that he alternates up-down picking except when changing to a new string, which he will play with a downstroke. "At 14 years old, Pass joined a band called the Gentlemen of Rhythm that played music in the style of Gypsy guitarist Django Reinhardt." I think Adrian was being faceitious The gypsy picking book has unfortunately been taken as dogma by many amateur players, rather than as a general guide for getting a strong gypsy sound like, say, Stochelo's.